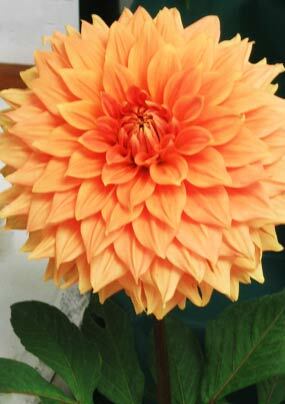 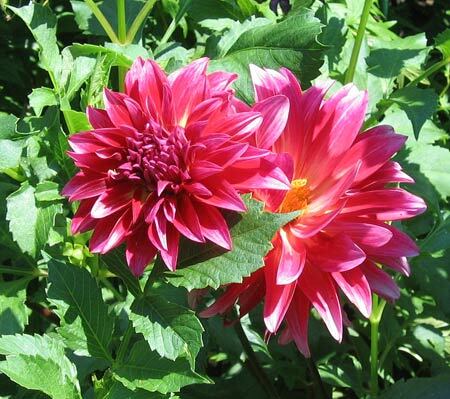 This is the Dahlia Page of our A to Z guide to plants -- how to care for them, landscaping with them, and cooking and healing with them. 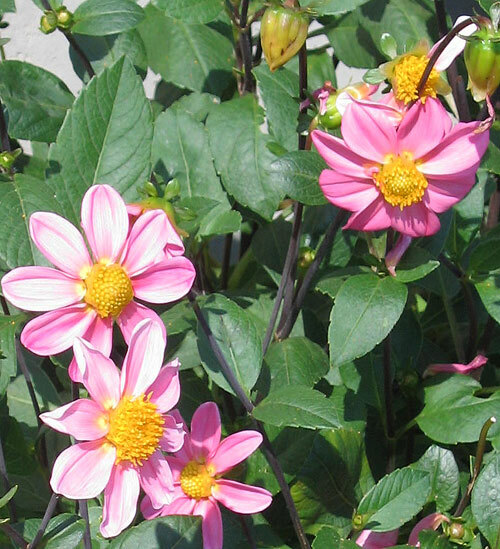 This tuber based plant is one of our favorites. 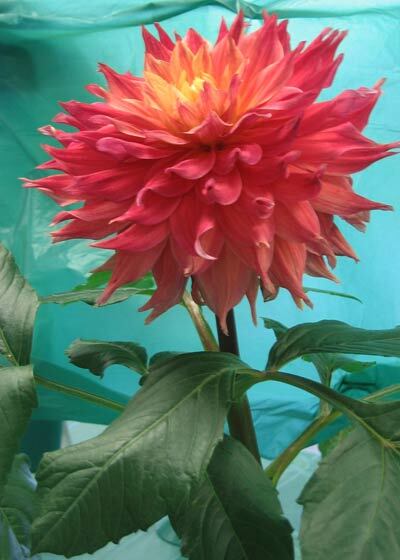 We planted seeds in Montserrat which grew well and were nicely flowering when an eruption of the Soufriere volcano delivered a layer of volcanic ash over our entire garden. 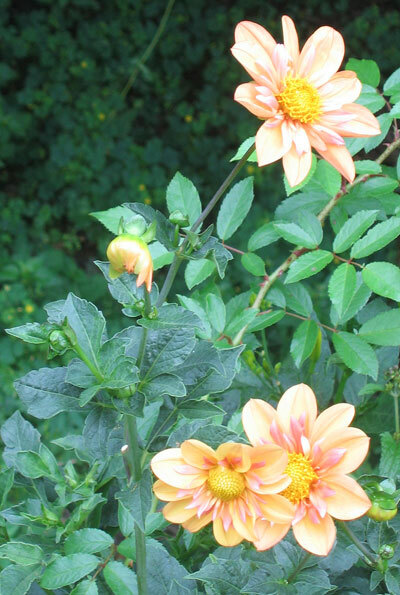 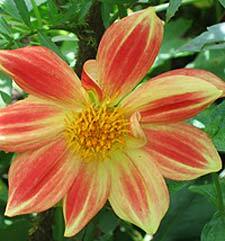 Following the ash fall, we had acid rains which killed the dahlias along with many of our other plants. 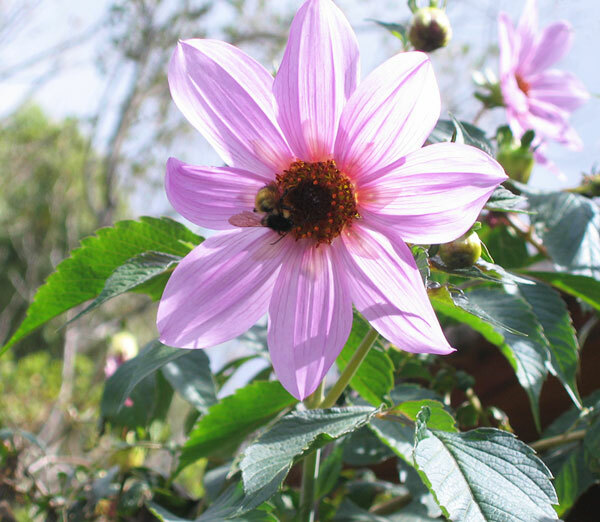 We have now restarted with seeds planted at our new home in Guatemala and you can see the wonderful first year results below. 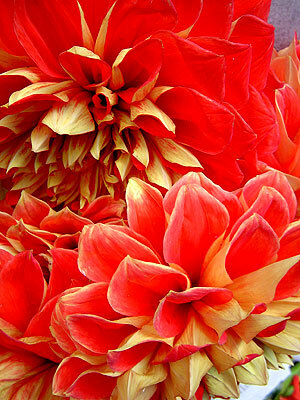 From: From Mexico and Central America. 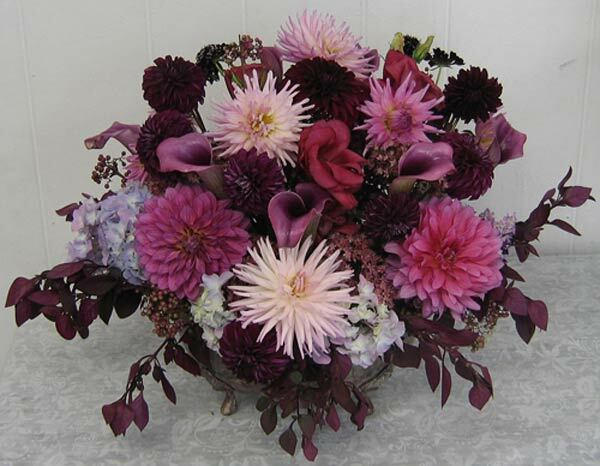 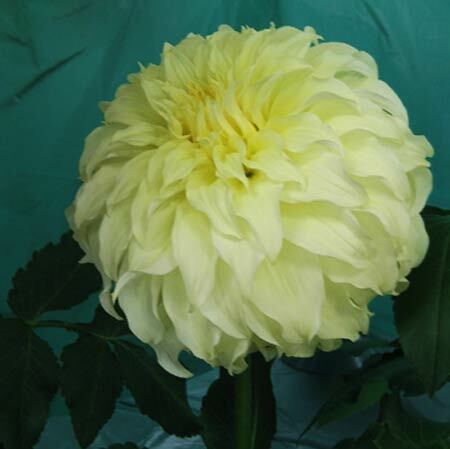 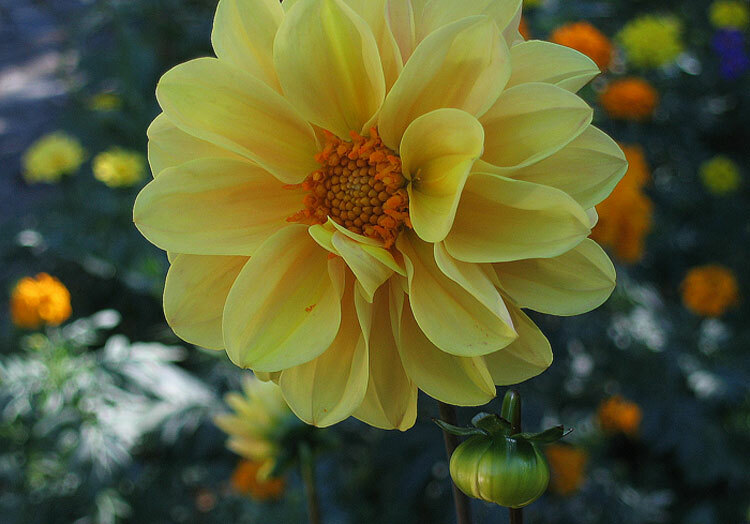 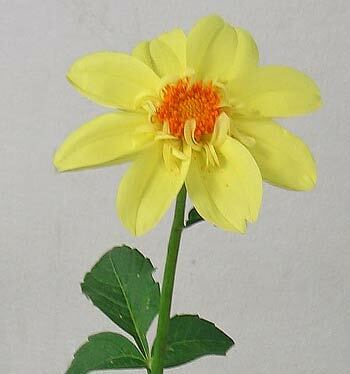 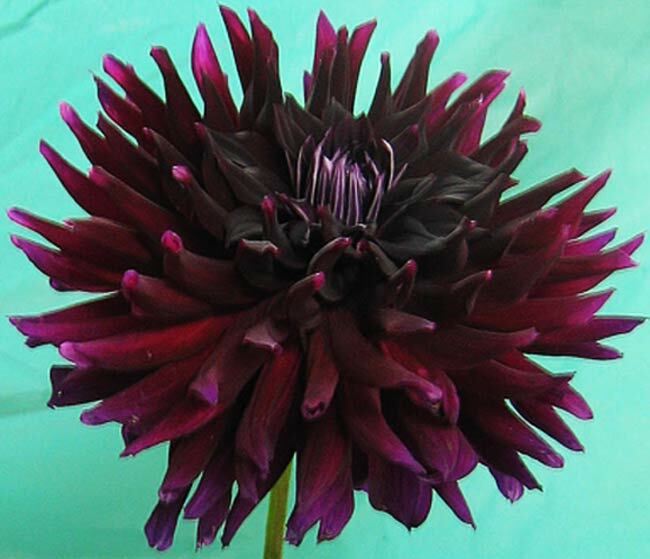 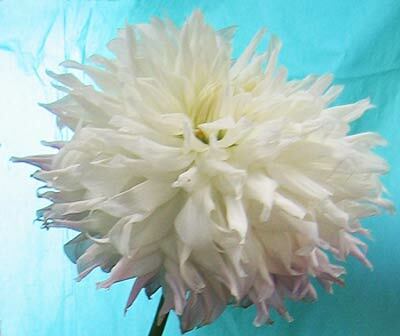 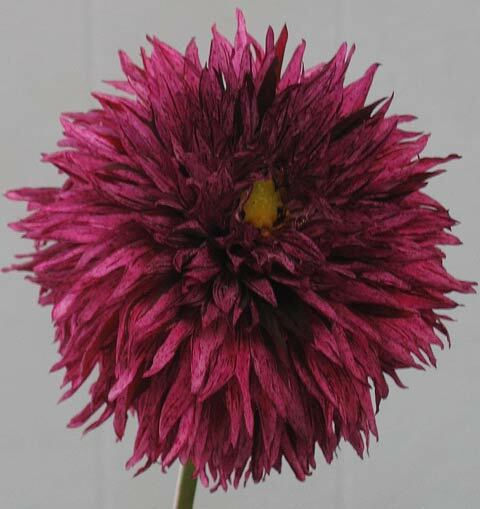 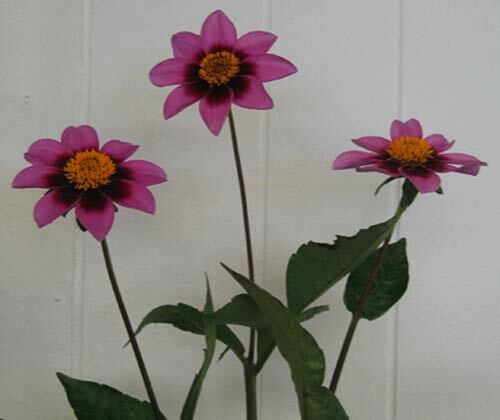 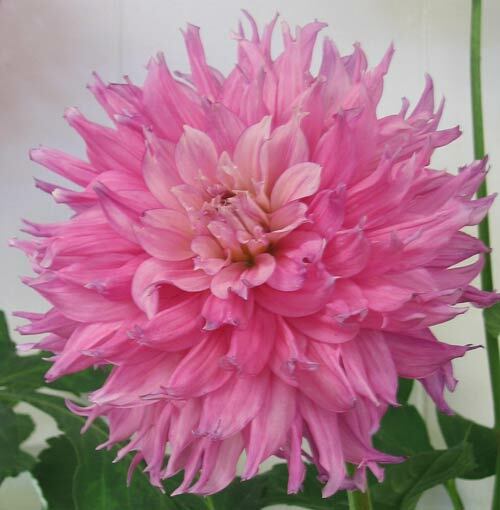 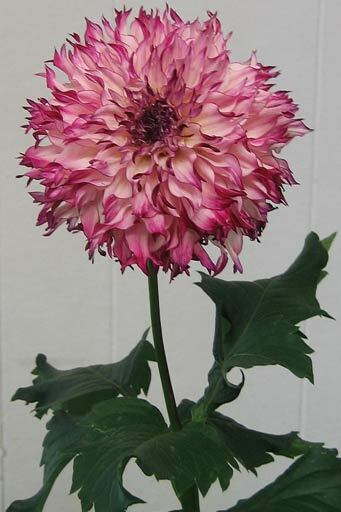 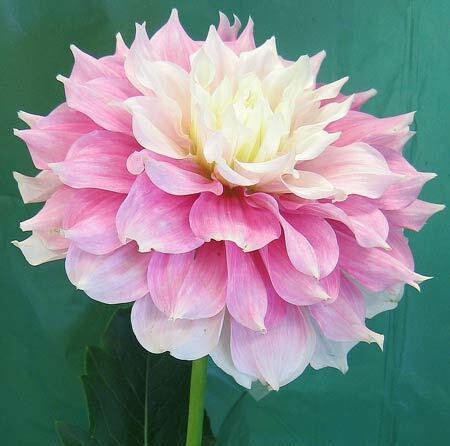 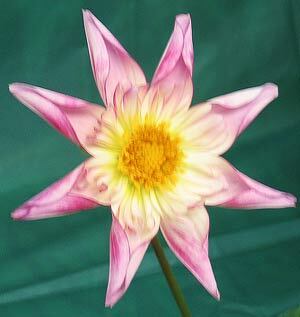 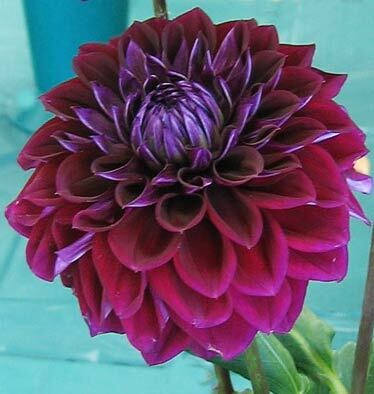 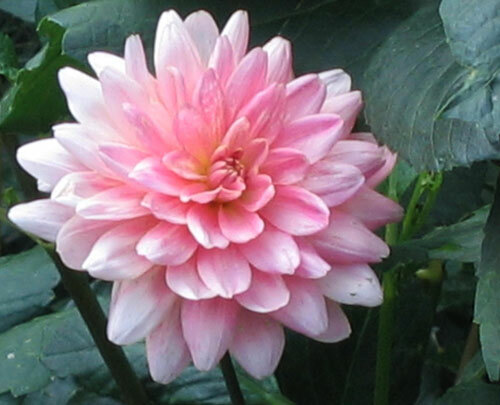 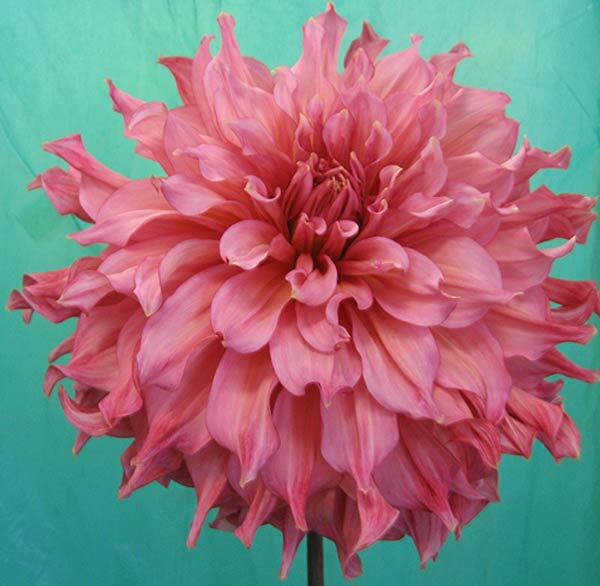 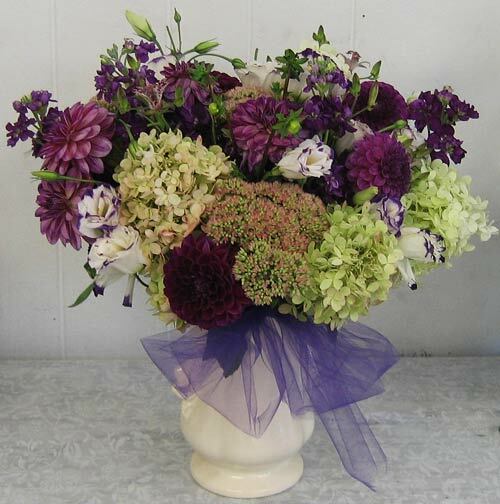 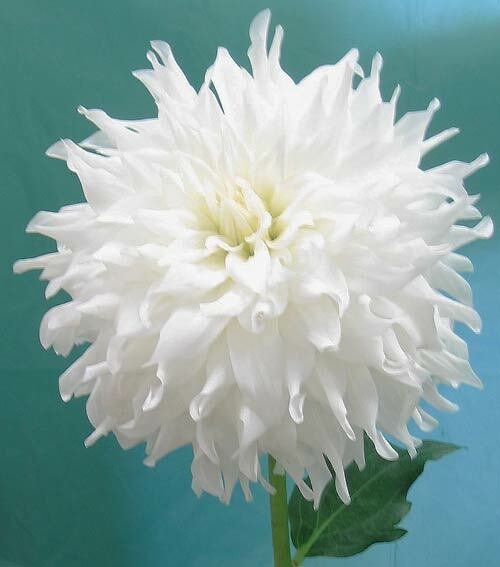 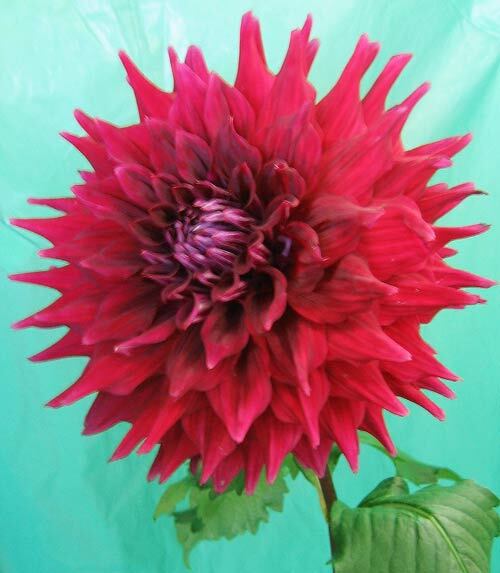 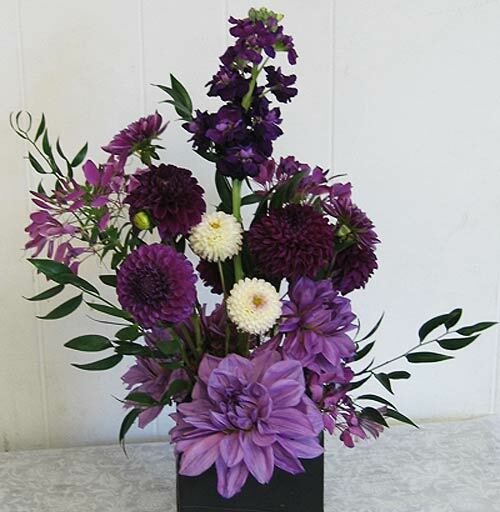 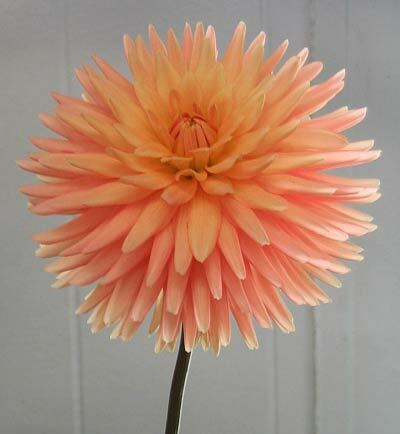 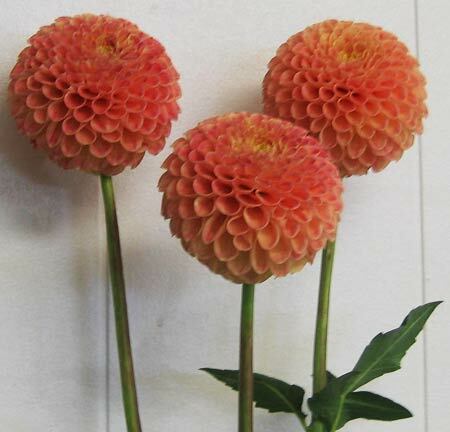 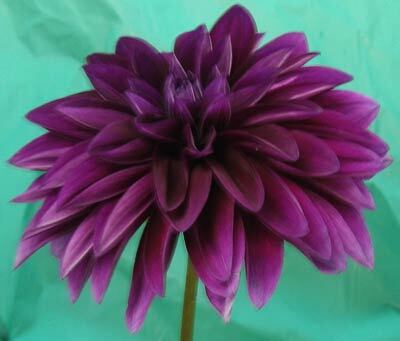 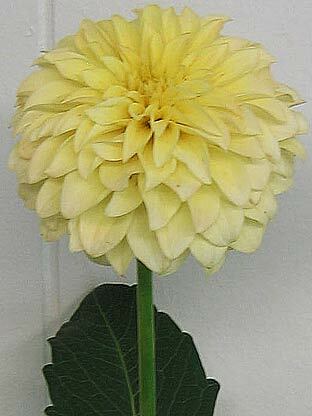 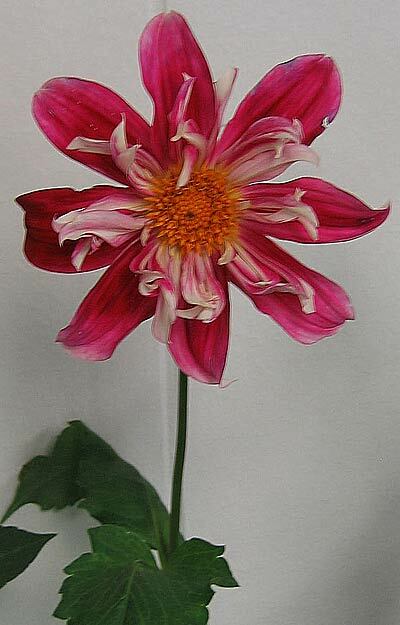 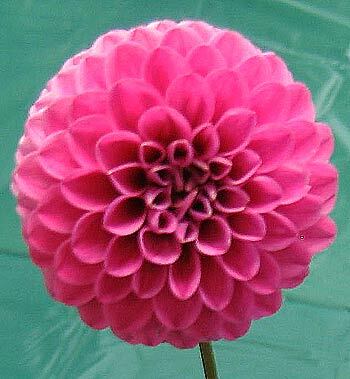 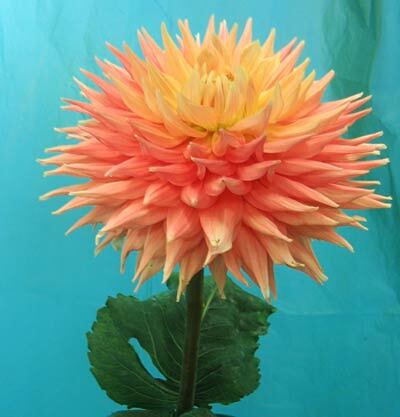 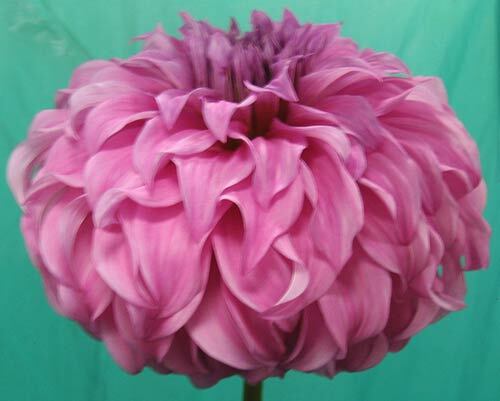 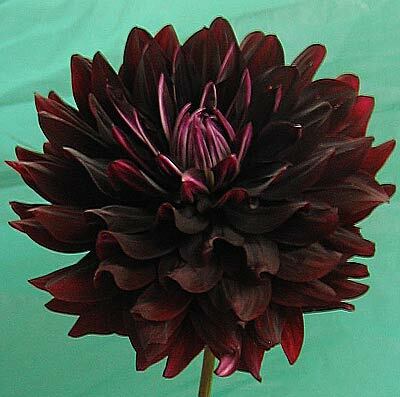 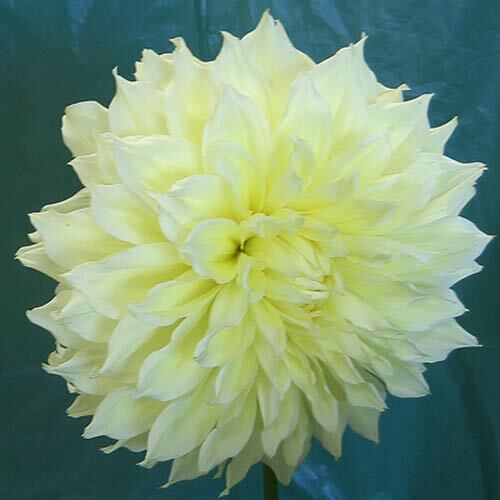 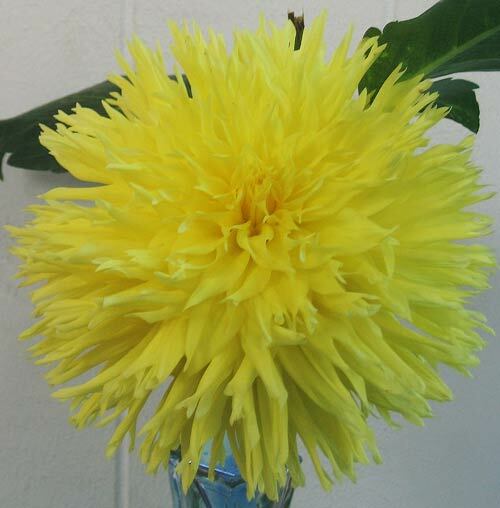 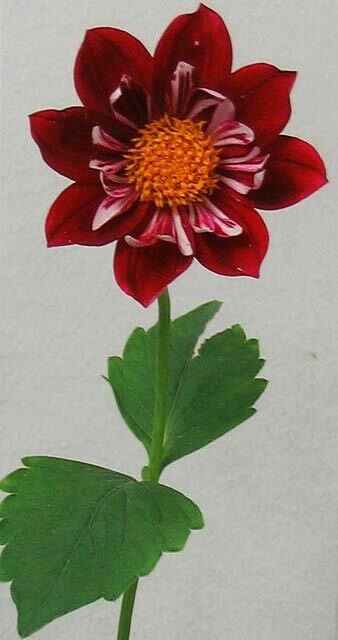 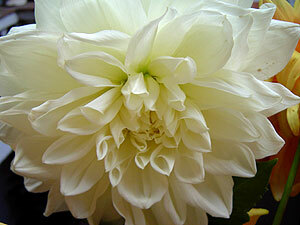 The dahlia was designated as the national flower of Mexico. 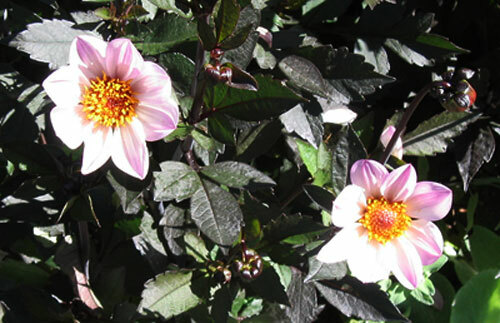 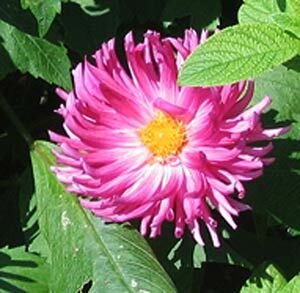 Photographed: In Taxco, Mexico, in our garden at our former in Montserrat, in the Botanical Garden at the Hotel Atitlan on Lake Atitlan in Guatemala, at the Winter Garden in Auckland, New Zealand, and in Rhode Island at the annual dahlia show and wherever else I find them. 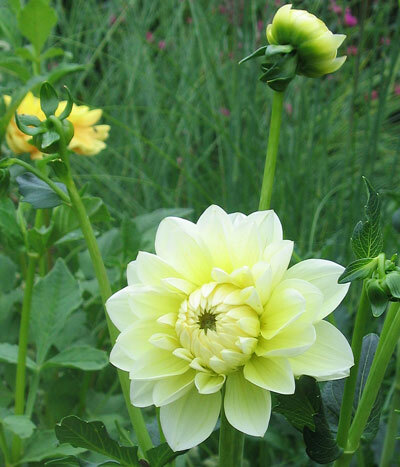 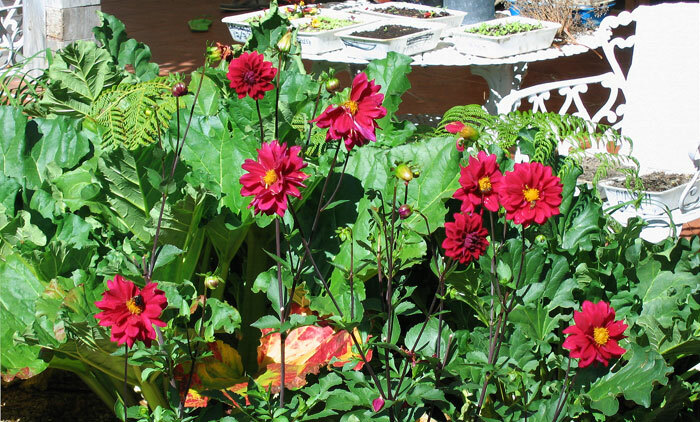 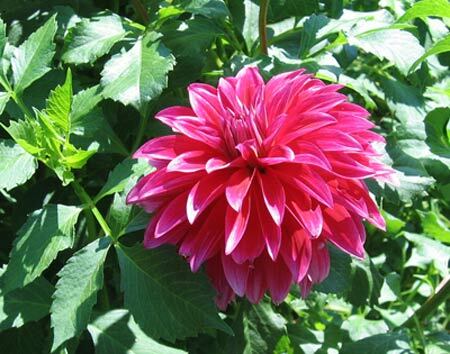 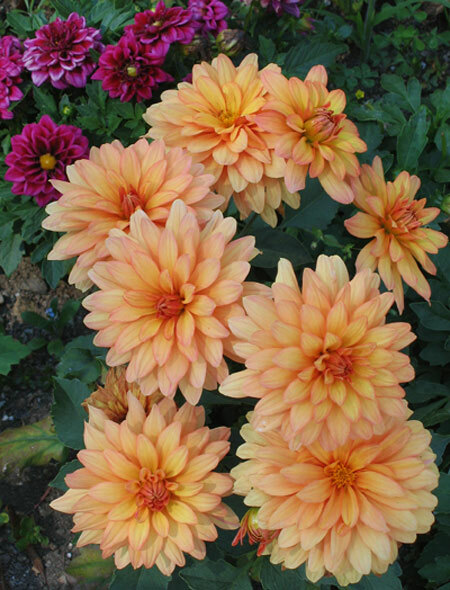 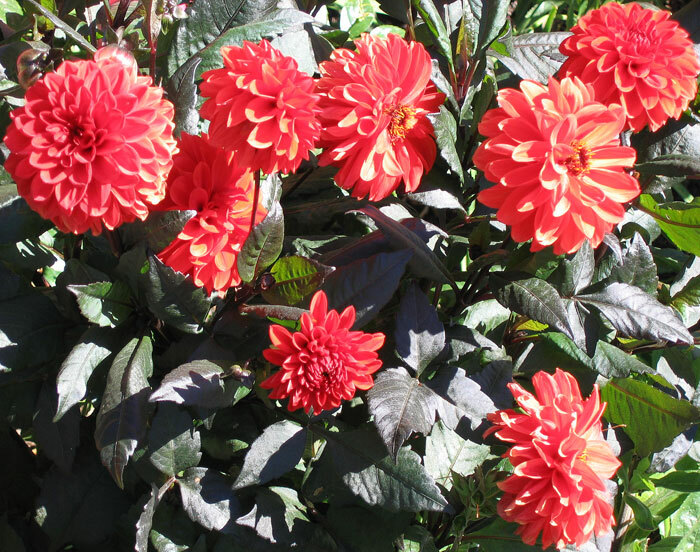 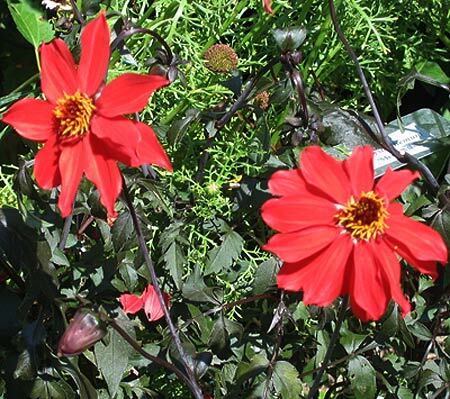 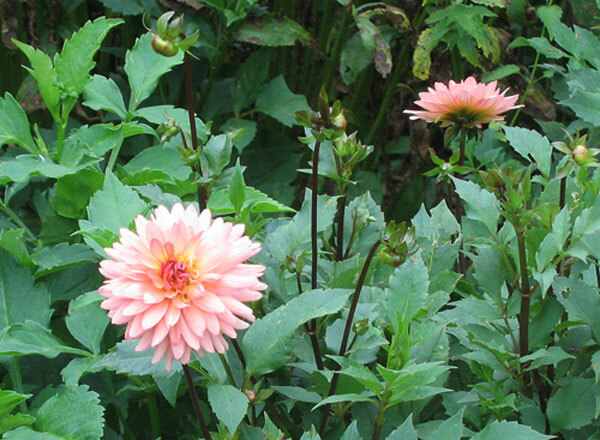 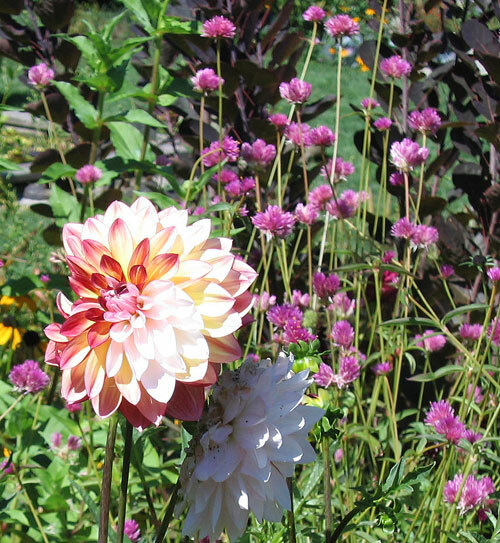 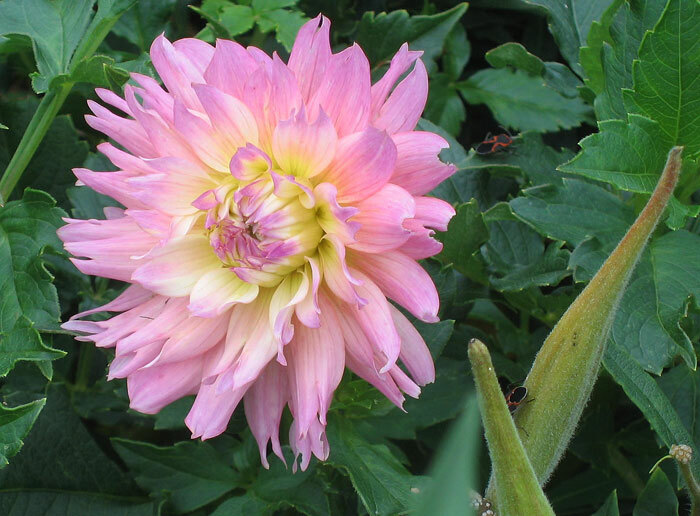 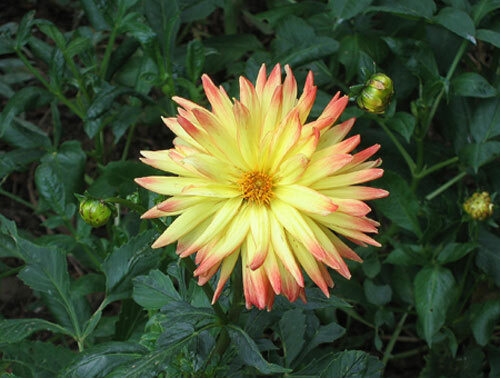 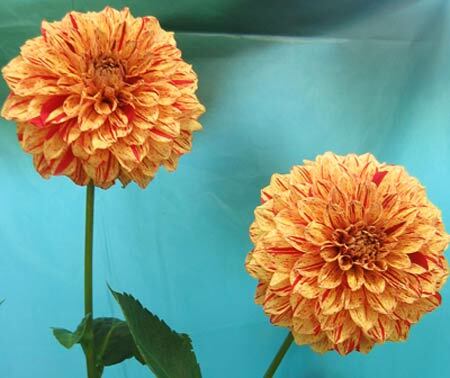 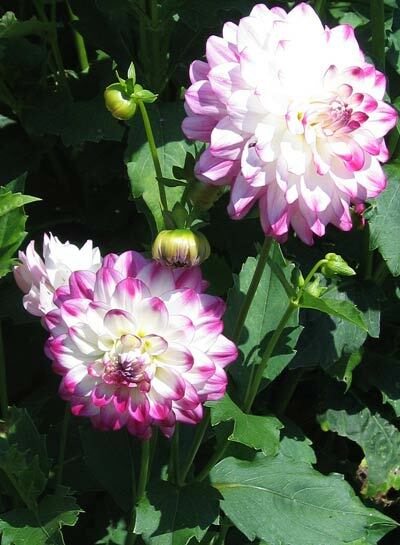 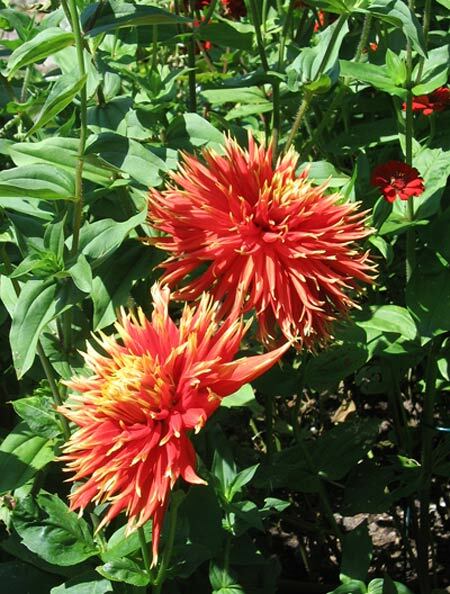 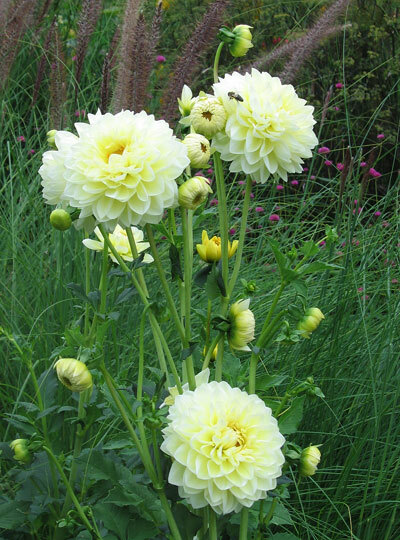 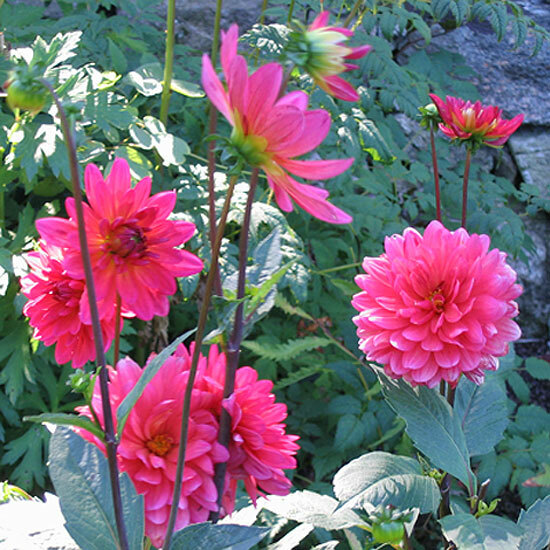 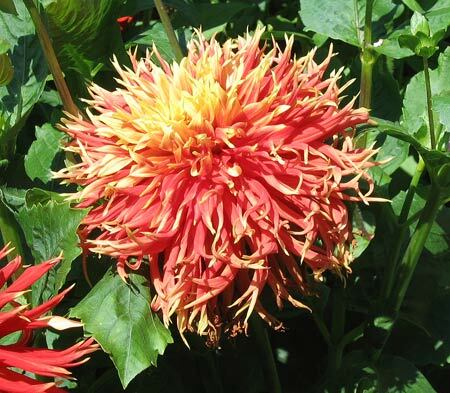 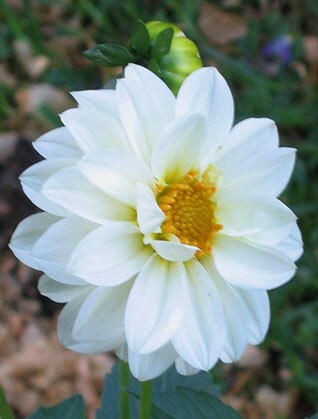 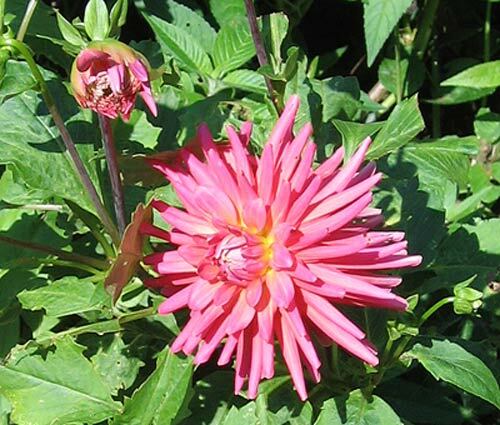 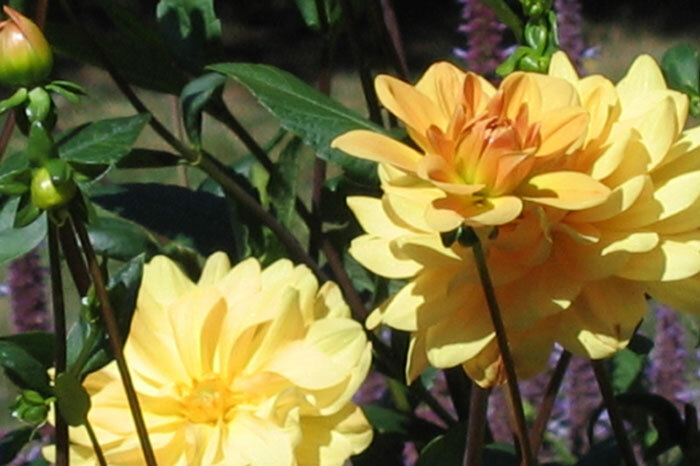 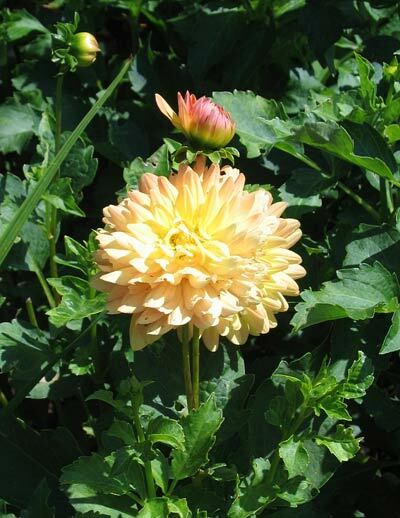 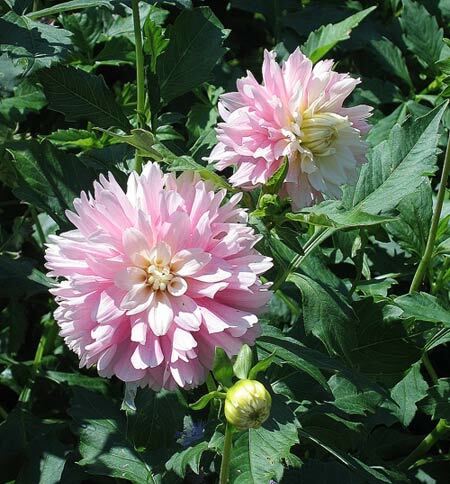 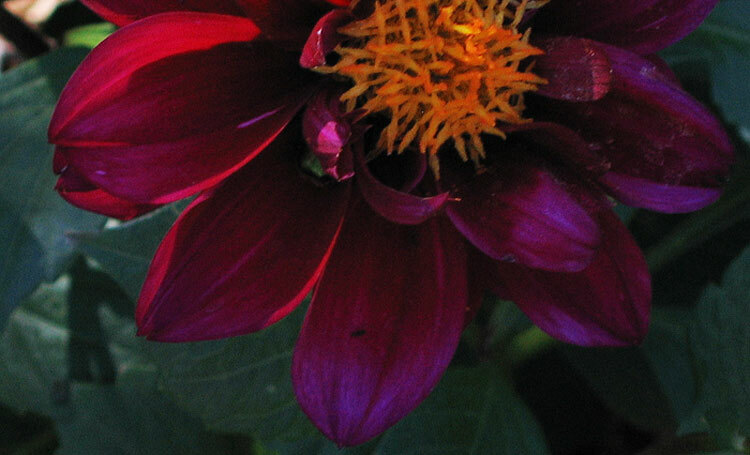 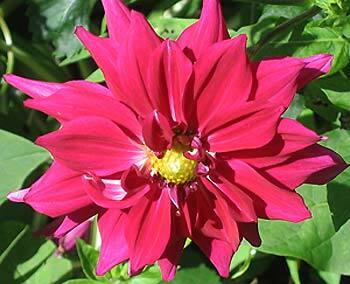 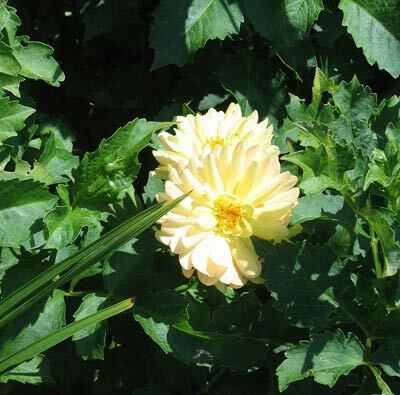 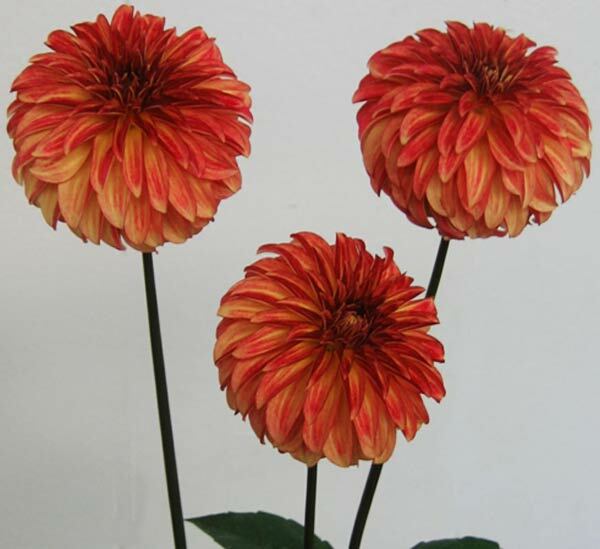 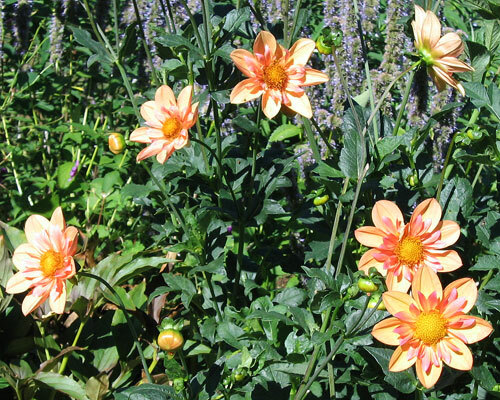 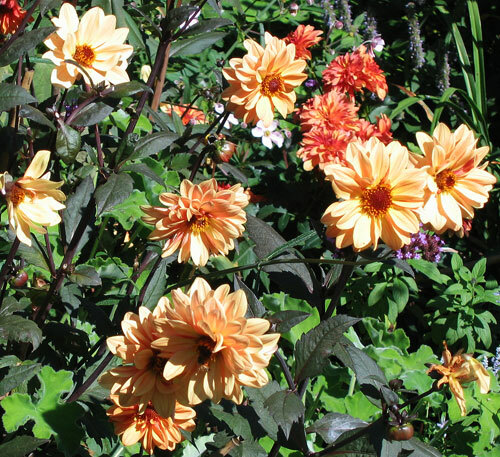 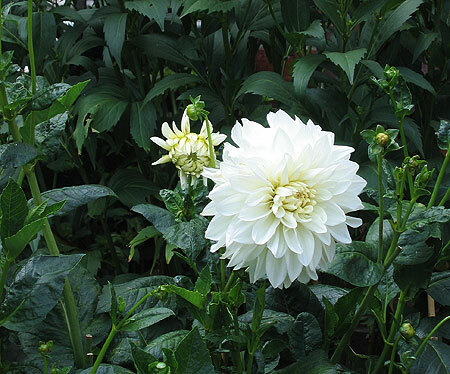 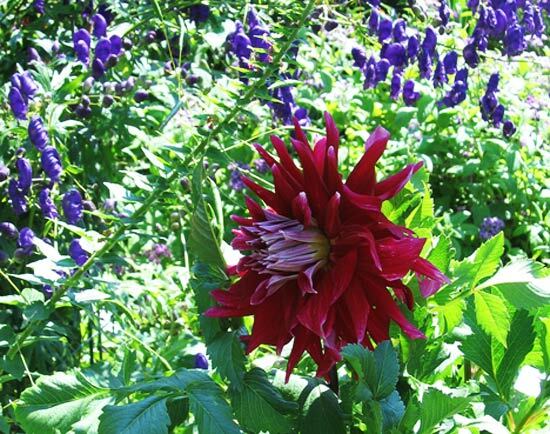 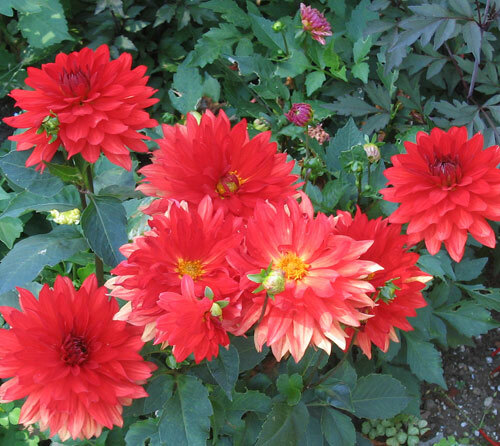 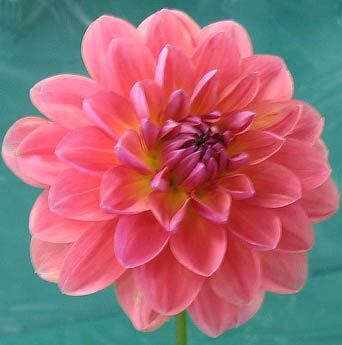 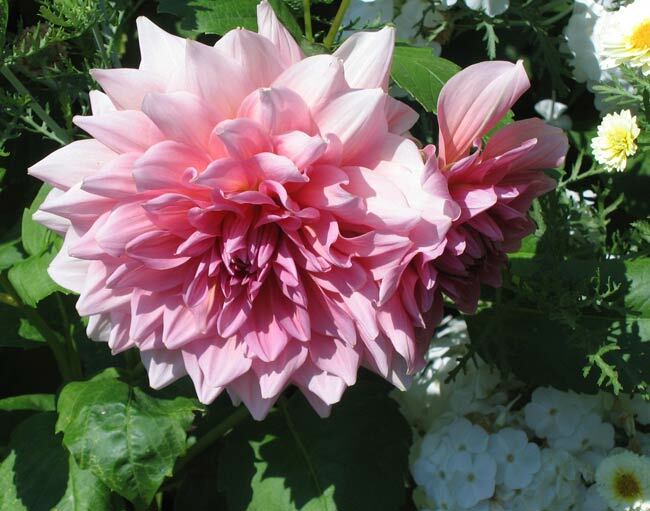 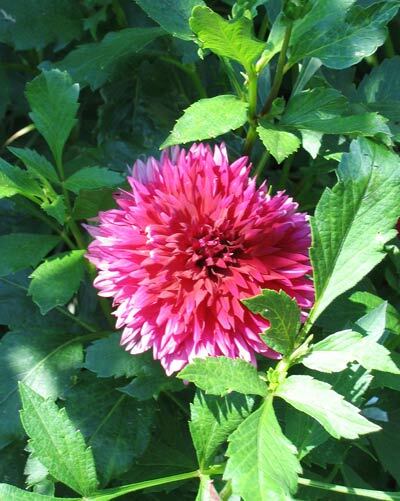 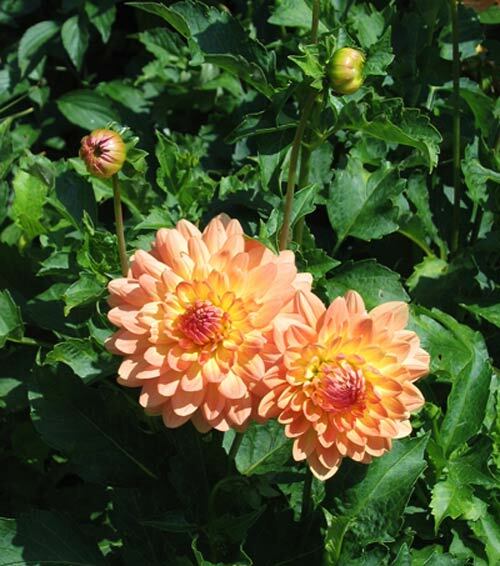 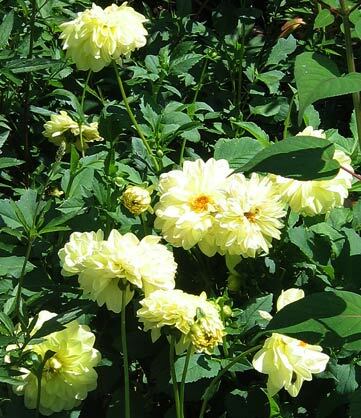 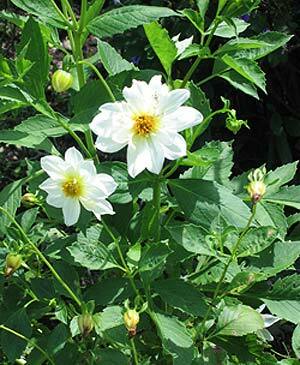 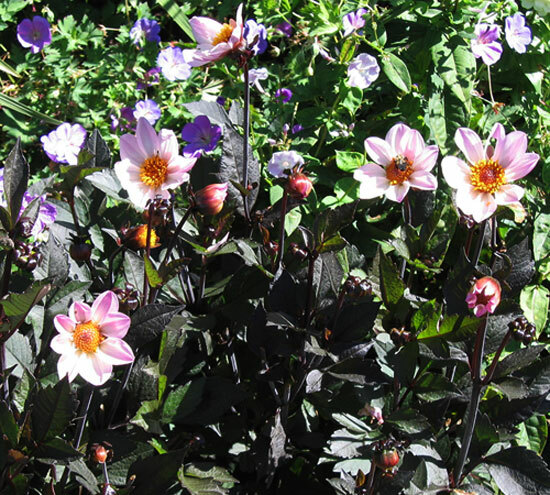 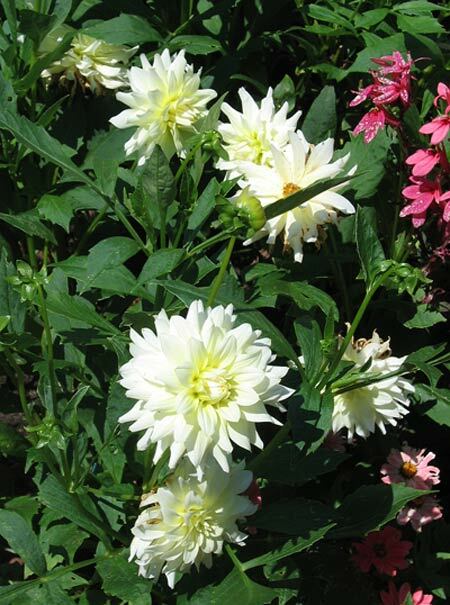 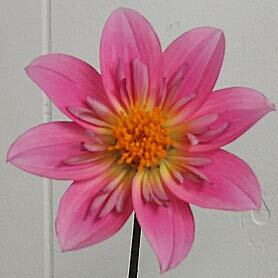 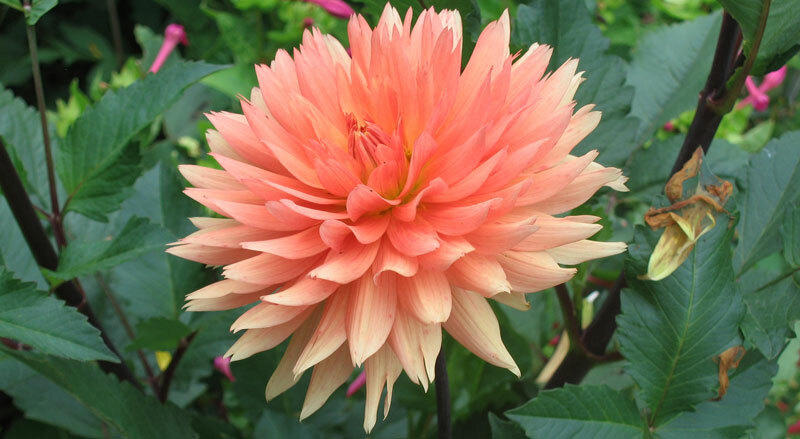 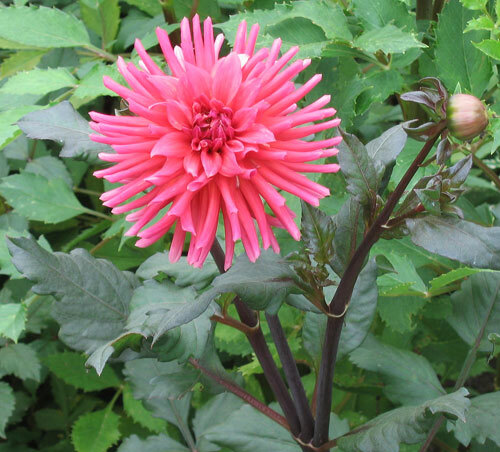 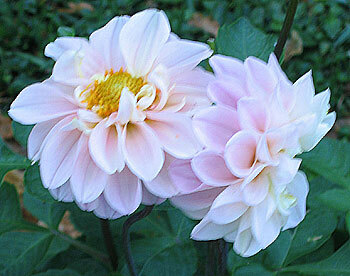 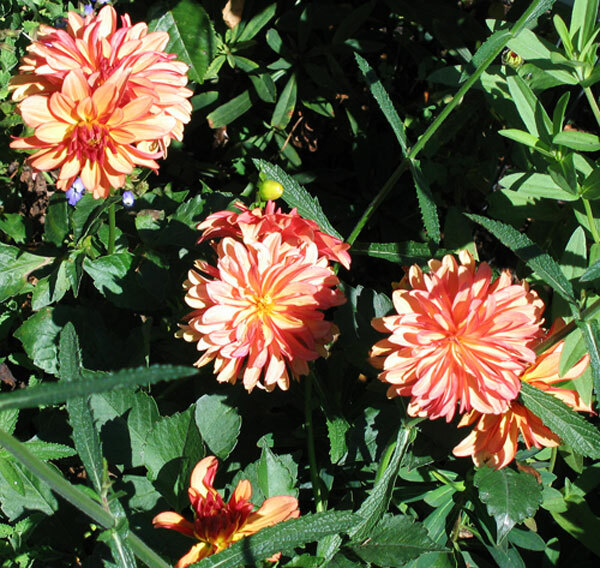 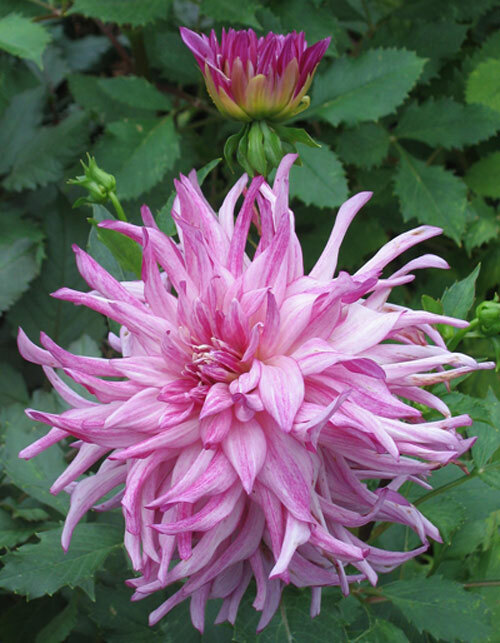 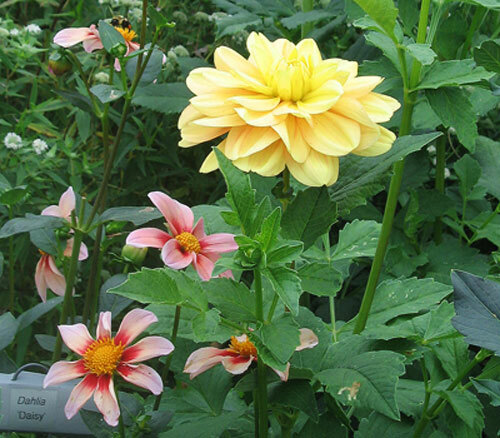 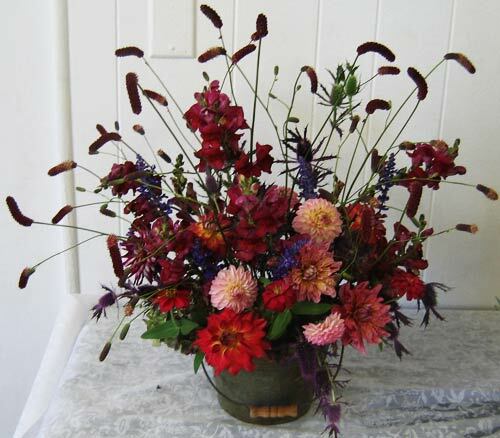 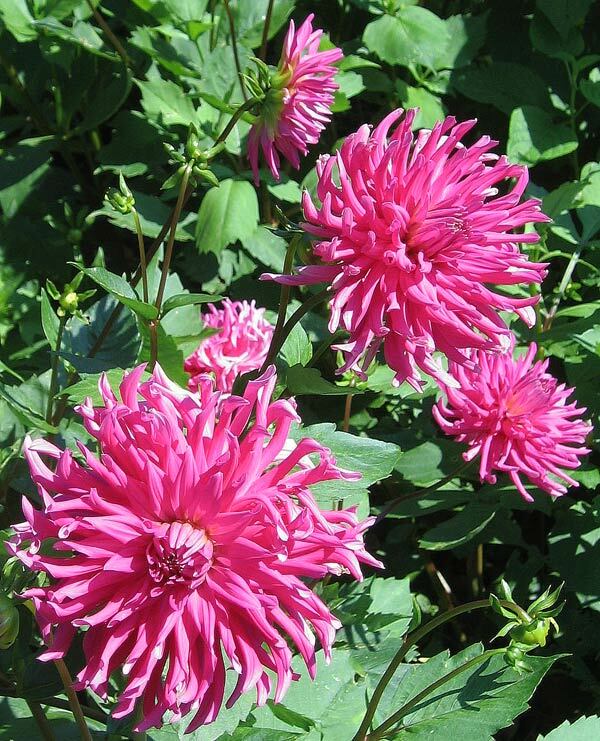 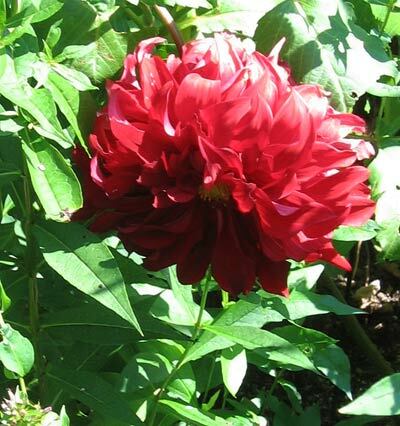 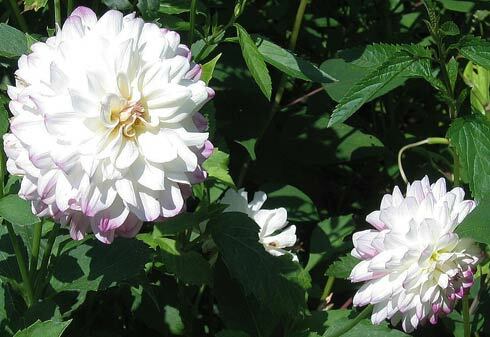 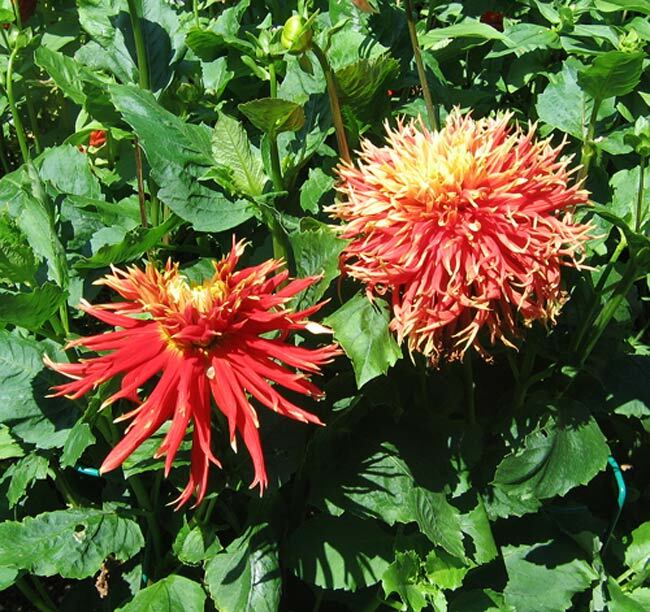 Planting and Care: Dahlias are easy plants whether you grow them from seed or tubers. 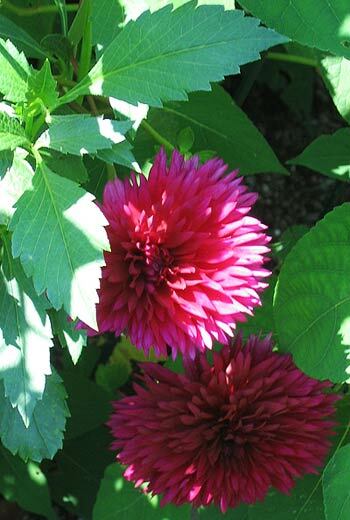 They like to be in full sun in more northerly locations, but will tolerate semi shade in bright tropical places. 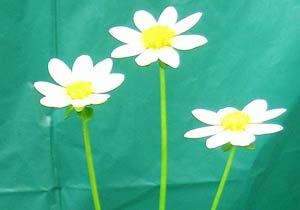 Along with light they like to receive routine rainfall or watering without ever being in a bog. 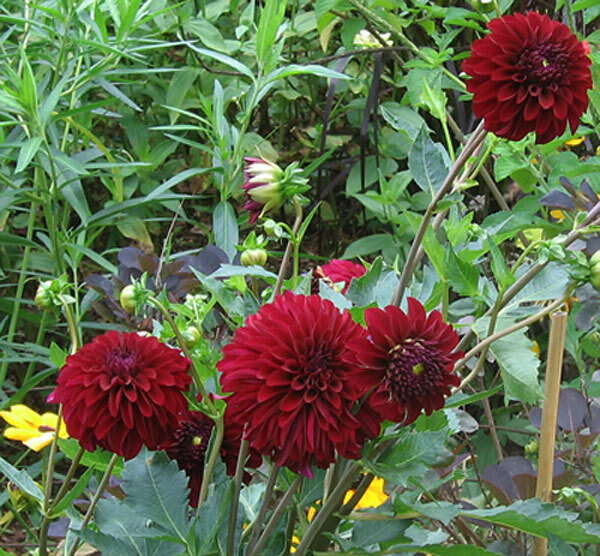 A rich composted soil is appreciated as well. 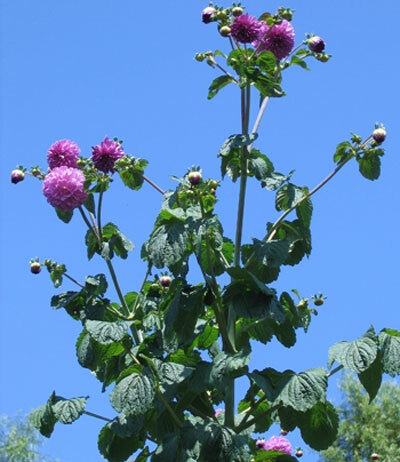 The largest of your plants will almost always need some support or staking. 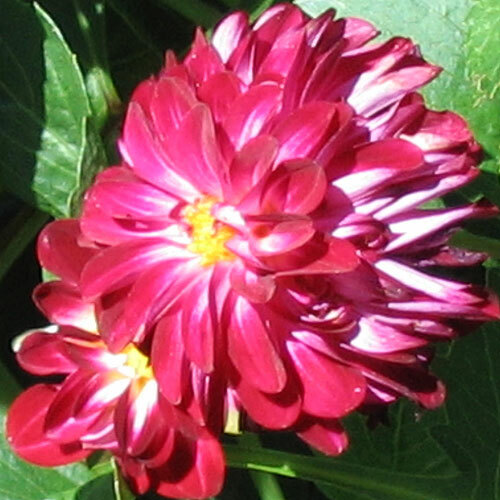 PHOTOGRAPHED IN THE OUTSIDE GARDEN AT THE WINTER GARDEN IN AUCKLAND, NEW ZEALAND, IN 2013. 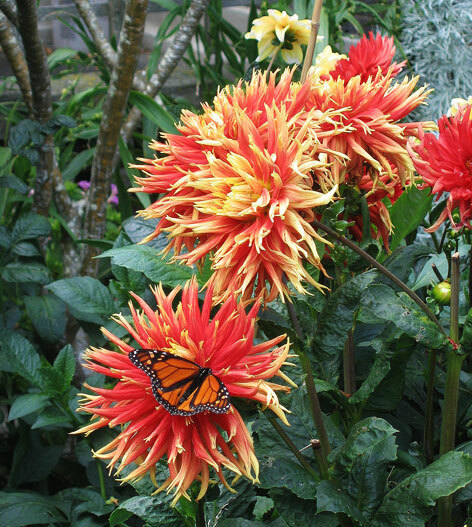 PHOTOGRAPHED IN THE GARDEN AT THE HOTEL ATITLAN ON LAKE ATITLAN IN GUATEMALA FROM 2010 FORWARD. 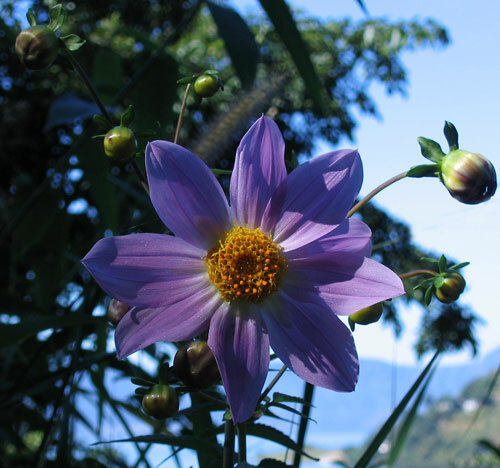 The wild dahlias below truly are wild growing in the wooded areas on the roadside rising from Lake Atitlan to Solalá, the State Capital of this area of Guatemala. 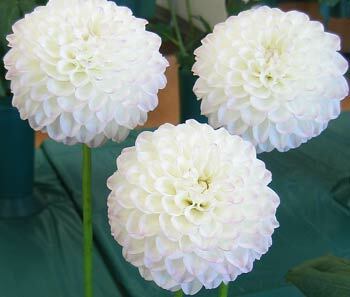 They grow at an altitude of 5000 feet and above and do so comfortably within the climate's natural annual changes including alternating between a very wet rainy season ranging from May into November and a dry season for the rest of the year. 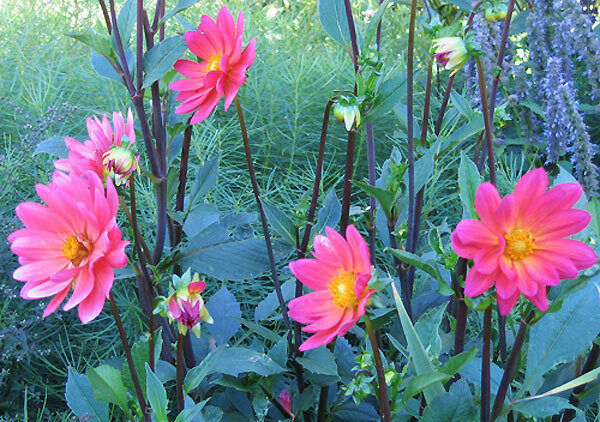 In their long blooming season they are extraordinary. 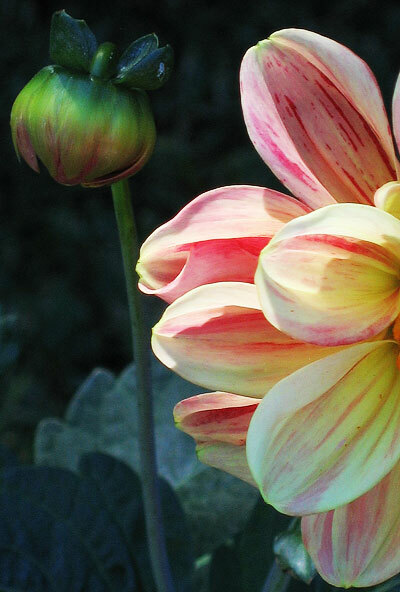 When I photographed these beautiful flowers and added them to my "mystery flowers" page this is what I wrote. 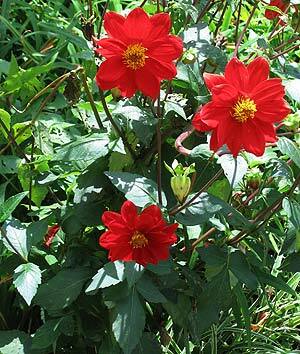 "To me these very tall wildflowers (10 feet) seem like relatives of dahlias. 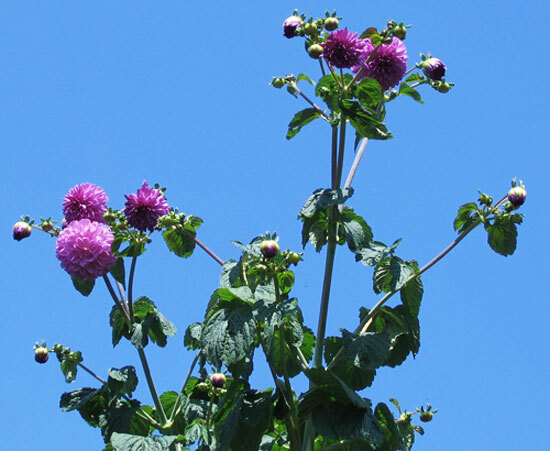 They grow by the Lake in Guatemala where they thrive during the rainy season May through October." 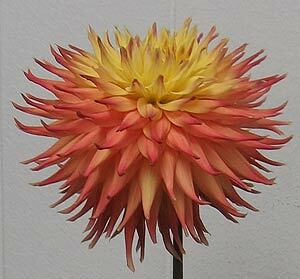 As it turns out I wasn't too far off the mark as I have always loved dahlias. 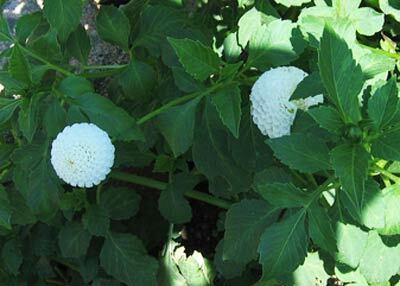 With my appreciation these plant mysteries were solved by Jac from North Norfolk, England. 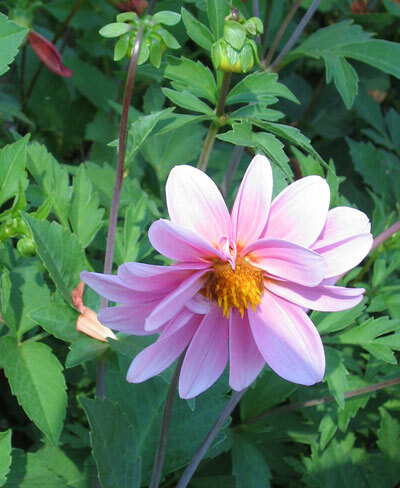 I'd like your help too. 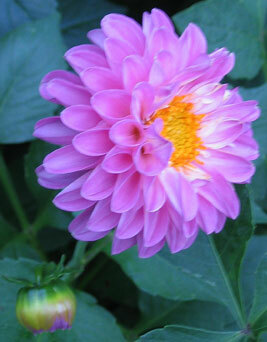 Photographed: In Panajachel, Guatemala, in 2012. 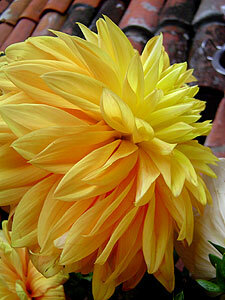 Our dahlias in their second year became members of the family, cared for, but not treated like guests. 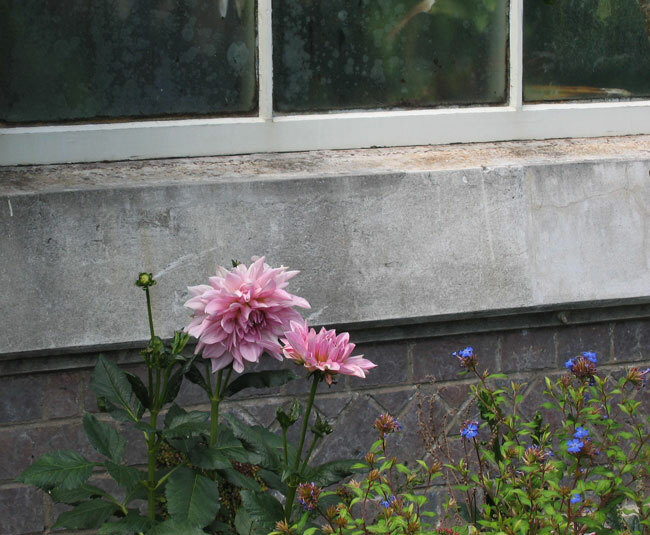 Here you see them growing with the rhubarb and young tree fern just by the terrace where I have my reused styrofoam mushroom containers filled with nice potting soil and seeds on their way. 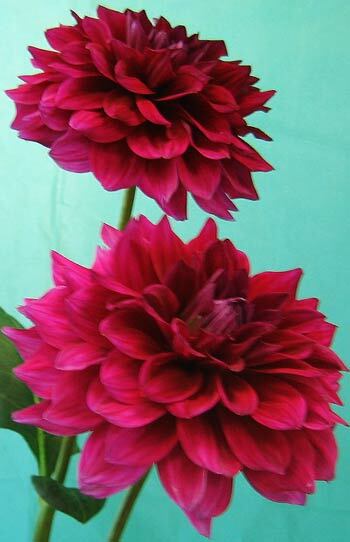 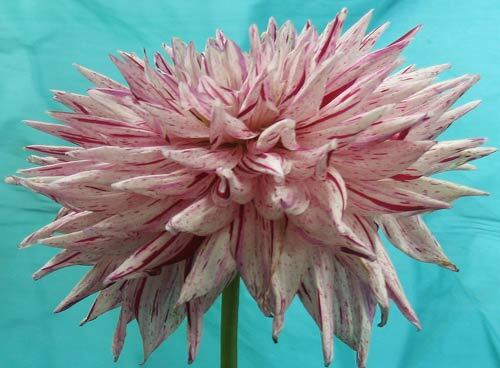 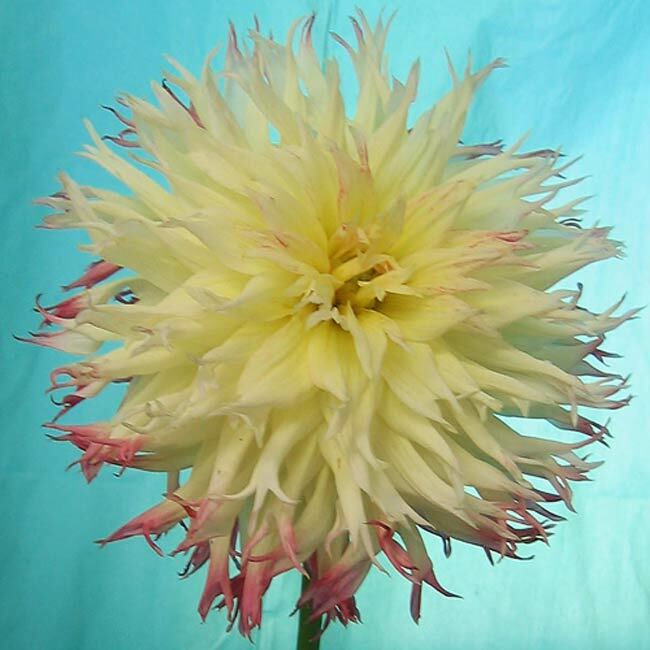 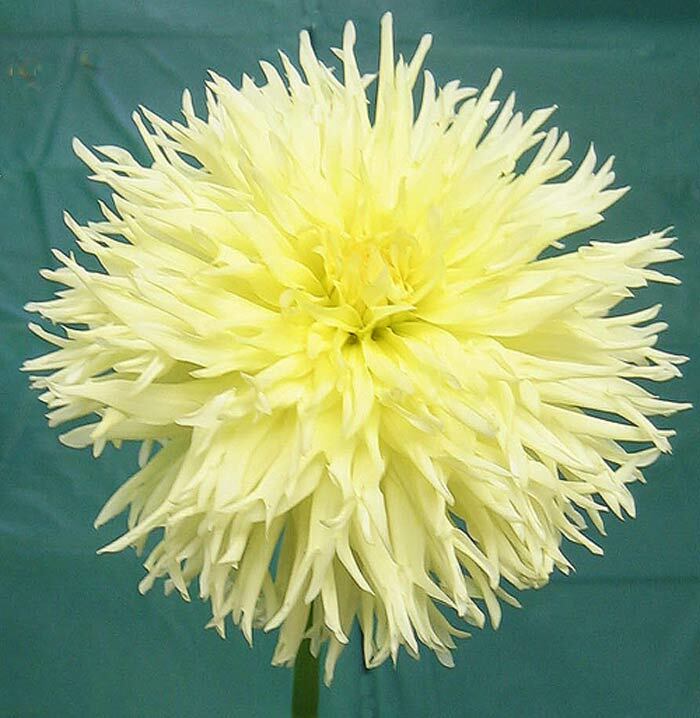 We went to this show with great enthusiasm as we both love dahlias. 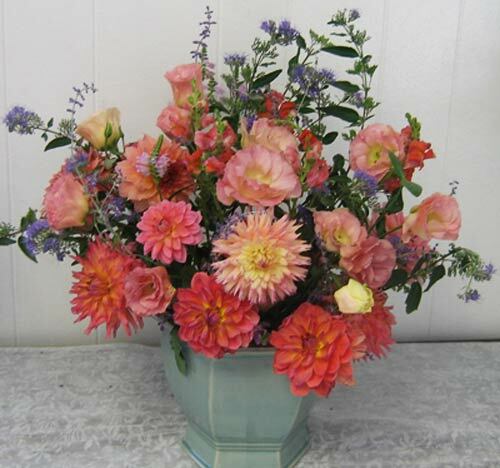 Unfortunately as you will see in the photographs, the whole show was laid out on green plastic and all of the blossoms were crowded together. 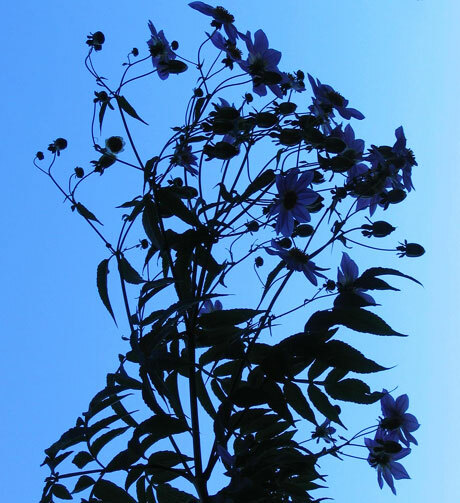 Not only did the beautiful blossoms suffer this indignity, but my photographs did as well. 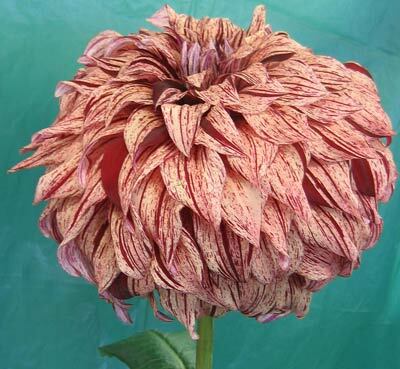 To top it off, all of the identifying materials for each flower were hand written and mostly illegible.